Twenty Five nominations for the Basingstoke & Deane Sports Awards in 11 different sports have been received and are now being reviewed by a independent panel of judges. A group of finalists will be invited to the Apollo Hotel Awards evening on Friday March 1st whilst the others to a Mayors reception on Monday March 4th. The photos at the bottom of this page are just a selection of candidates and not relevant to any voting. 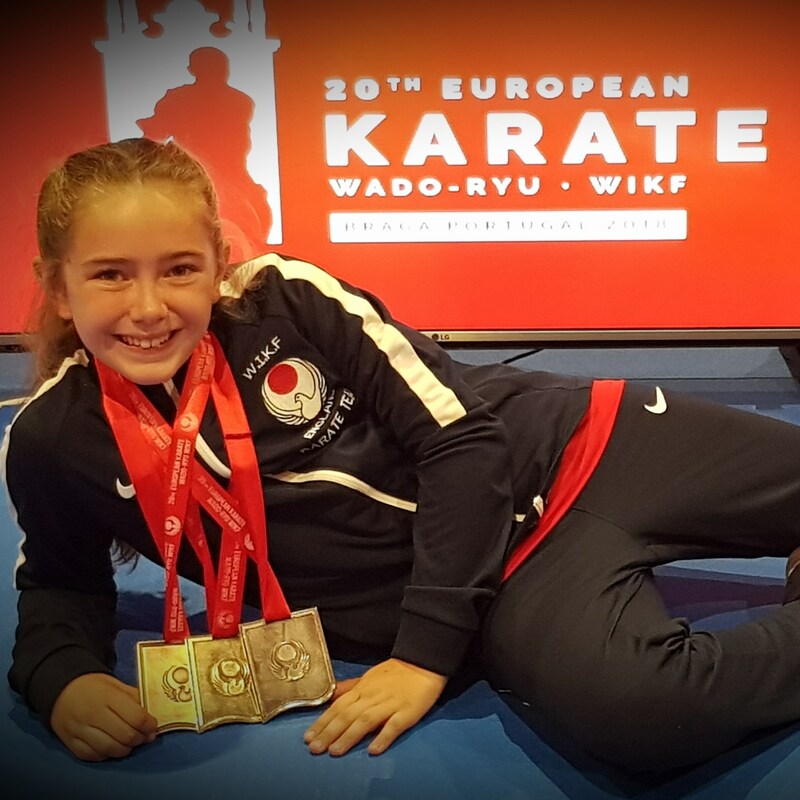 Maggie is the WAKO British champion and won a Silver medal at the WAKO British championships along with 9 Gold medals at Cimac Super league National tournaments. She also won silver medals at Cimac Super league National tournaments. Maggie is Grand Champion 2018 Cimac super league in 3 different categories, and a Gold medal winner at the Watford international tournament. Silver medals were won at Watford international tournament, British Grand slam and both silver and gold medals at the Milan international tournament. 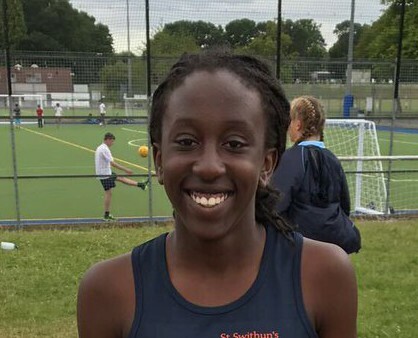 2018 was Ayomide’s junior U15 year, and her target was to be competitive in her sprinting and achieve English schools qualification. 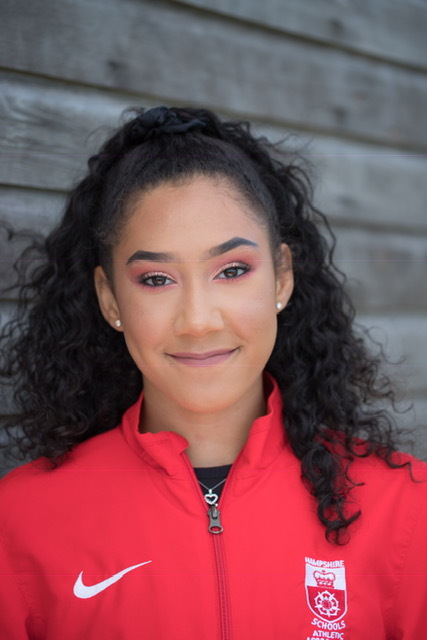 She achieved and exceeded these objectives, winning gold medals in 100m and 200m at the Hampshire championships and qualifying to represent Hampshire in 200m and 4x100m at English schools. She also anchored the relay team to a bronze medal and ended the season recording the fastest time in the county over 200m and being the only girl in her age group to run under 26 seconds for 200m. Amelia won the Hampshire triple jump Championships last May winning the competition having never triple jumped into a sand pit previously. Amelia then cleared 11m at the Southern inter counties Championships in Oxford. She often guides younger members with training drills and techniques and has natural talent combined with a rare aptitude for hard work. 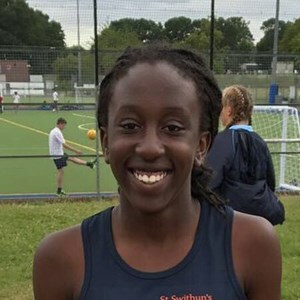 Currently ranked 3rd in UK for U15, Her coach feel Amelia has the potential to develop into a future star and has set high target goals for the coming year at track and field. In 2018, Holly competed for the Southern Region team at the Bill McLoughlin National Apparatus Team Championships where she placed 2nd on Floor and 7th All-Around and at Challenge Cup she placed 2nd on Floor, 6th on Beam and 9th All Around. In the Southern Regions Challenge Holly achieved 1st on Beam and Floor and 2nd on Vault and Bars. Over the year, Holly showed total dedication to her sport demonstrated how you can manage to secure excellent GCSE results at the same time as having a full training schedule. Catherine is a committed national and county athlete. She is the 2018 County Champion at 300m and silver medallist in the 200m. At the prestigious English Schools National Championship, she represented Hampshire in the 300m and 4x100m and also competed for Hampshire schools. During 2018, Catherine achieved PBs in 200m, 300m and 800m and is now training 6 times a week with a move to focus on the 800m for the 2019 season. Xanthe had a successful 2018, competing in the FIG class at the top level of the sport, and achieving a personal best individual score in the season, along with consistently scoring over 17.5 points. 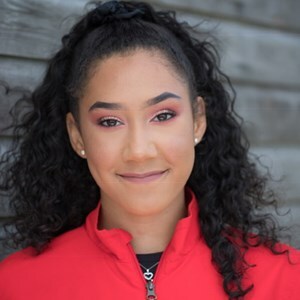 She received an invitation trial for a GB World Place and also competed in the International open at Heathrow, where she qualified into the Finals having achieving a Personal Best of 18.25pts. Xanthe was also given the opportunity to complete as an Individual Female and within a Trio team of 3. Lexie spent 2018 competing in major competitions and successfully gaining selection to the WIKF England team. She trained hard to progress from B team to full A squad member and attended her first European Championships in Portugal where she came away as European 10-11 champion. Lexie has great Team spirit at her local Su- Ha- Ri club, where she encourages and supports others. Isla was Runner Up in 18 and under County Closed and Winner of the 14 and under doubles. She also won Bradfield 18 under County Tournament and was Finalist of the Regional Spring Open along with being 2nd seed in the county cup team that qualified for the National Finals. 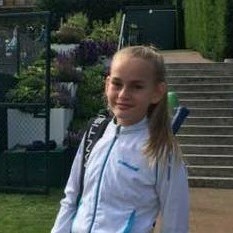 Isla is age Ranked 2rd in County and is the highest age rated and ranked female player at Totally Tennis. 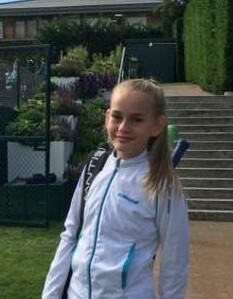 She played in the Aegon 14 and under premier division in the summer as top seed at Totally Tennis and also competed in the ladies Hants & IOW County Tier for Warsash tennis. 2018 was Alexis’s first year competing in Biathle and Triathle as a 9 year old, and she became the European U11 Triathle Individual Bronze Medallist, and European Triathle Team Gold Medallist. She was also champion in the International Test event in Madeira and, although she could not attend, she qualified to represent GB at the World Biathle event in Egypt. Lily-Mae qualified for the U11 group World Biathle and Triathle Championships where for Triathle she won a silver in the mixed relay, an individual bronze and a team silver. She also won a silver for the International Biathle in Maderia and is the British Champion for Triathle and National Schools Biathle. She also won silvers for the British Biathle and British Modern Triathlon. Despite a busy year where she started college and competed in many dance competitions, Kaitlyn pushed herself to the limit, transitioning to an older age category. 2018 saw Kaitlin continue to overcome her physical challenges and she won a medal in every National competition entered during the year. She did well to be part of the team that won the European Team medal, and she then went on to win a bronze medal for GB. Despite an injury, Mia medalled in many domestic competitions in 2018 and earned her first spot on the WIKF B squad which enabled her to compete in the WIKF European Championships in Portugal. Mia started helping her sensei teach the younger and new members of the club which she is enjoying because she hopes one day to follow her sensei’s path and become a karate instructor. Mia’s future goals include becoming a black belt and a world champion in her federation. Isabelle had a successful athletics and biathle season which saw her qualify for the Modern Penthatlon GB Biathle and Triathle teams. She also improved on her placings in multiple National competitions, 49th from 430th, in National XC Championships. At the IAPS Wessex Championships she won Gold in 800m and Silver in Javelin. Isabelle is age ranked 20th nationally for Javelin. She works hard during training and is openly friendly to all members of her clubs (BMHAC, Wessex Wyvern MPC, and Bluefins). In addition, Isabelle has also developed a healthy and friendly relationship with competitors from other clubs during major competition. Julia had a great 2018 season, becoming County Champion in the 50 Freestyle, and she was also Regional Medallist in the 50m breaststroke and 50m Freestyle. She then went on to qualify for the Summer Nationals in both her favoured strokes. Julia also achieved 11 medals in the Open/Junior Hampshire Championships in September and finally, she was honoured to be selected to represent Hampshire at the National Counties Team Champs. 2018 saw Katie take part in many competitions around the UK and gain valuable experience. After each competition, she always has a discussion with her coach about her performance and where to improve, looking through video footage of her fights to then plan her next training session. Achievements include gold at Counties opens, English Open, Kent International, Don Werner Memorial and Regional School Championships. Katie also achieved gold medals in Europe when she competed in Belgium. Daniella regularly competes for BMHAC in the javelin, discus and shot put. During 2018, she set new personal bests in all three events off minimal training and, as a result of her County Championship performances, Dani was selected to represent the County at an Inter County Schools event. Dani also takes pride in keeping in touch with other track and field events so she can contribute maximum points at team matches for which they were a very successful U15 Girls team in 2018. 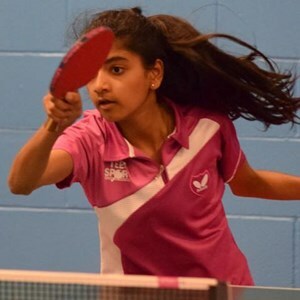 Anaya had an amazing 2018 season, winning many medals and achieving wins against top England players. She is a member of the England Youth Squad and represents England in both U15 and U18 events. Anaya is ranked no. 2 for u15 girls and is in the top 12 for u18 in England. She is currently no.1 in Hampshire for the u15, u18 category and no.2 in Hampshire in u21. Future goals include being selected for the 2022 Commonwealth Games. Alongside representing Great Britain against the USA in 2018, Hannah reached 8 European finals in both singles and doubles, winning 3 doubles and 1 singles title across two age groups u14 and u16. She also attained her first ITF (International Tennis Federation) points reaching the quarterfinals in two prestigious ITF Junior U18 events at the age of 14. Hannah aims to continue to compete regularly at ITF Junior events and look for qualification into Junior Wimbledon. Ellen took up athletics in 2018 by joining Basingstoke and Mid Hants Athletics Club. She worked hard and is now the Hampshire Schools U15 100m Champion and qualified for the 100m, 200m, and 75m hurdles at the England Athletics Championships. At the Clubs Annual Awards, Ellen received the award for ‘Most Promising New Female Athlete 2018’. Hannah took up waterpolo less than 3 years ago and in that time she has played at age group level for Basingstoke Bluefins, Hampshire and South East England Region. She also plays for Basingstoke Bluefins Ladies, Southampton Sirens Ladies and is now on the Sirens National League Team. She has also been nominated for National Academy at Age Group. Hannah represented Girls U16 Inter-Regional Championships at Millfield School in Somerset and Hampshire in Inter-Counties Tournaments in 2018. At ten years old, Ava is one of a handful of Athletes to qualify for the British Figure Skating Championships in 2018, whilst representing Basingstoke as one of the youngest competitors at the event. She met the strict qualifying criteria by winning two national competitions during the season (Dundee, Aug 18 & Oxford Oct 18). Ava also Qualified for the GB Development Squad for the 2nd successive year and achieved a National Ranking of 7th (at Basic Novice) in UK.